Flooring goes a long way toward defining the look of a room. But compared to a simple matter of taste like choosing a paint color, deciding on a floor material involves a host of sometimes puzzling practical considerations. Here, get the low-down on three top options from an expert with Sears Home Services. 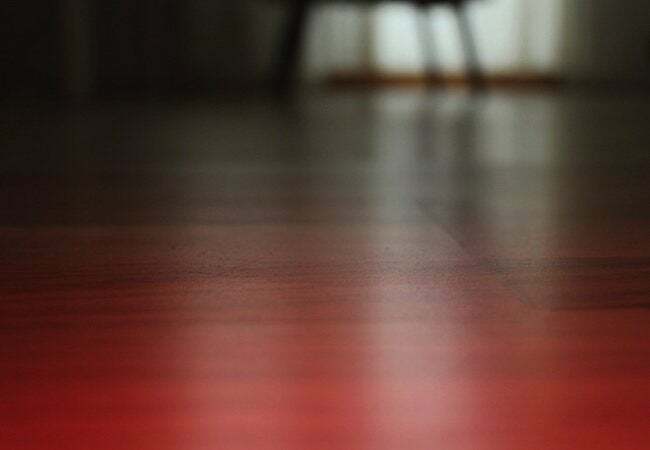 Floors are the unsung heroes of our homes, at once establishing the look of a space even while taking a beating under a daily barrage of footsteps. In return, to look its best and last a long time, your flooring demands attention—not necessarily an intensive regimen of care, but regular cleaning at the very least and perhaps the occasional repair. Without proper maintenance, according to Joe Maykut, a manager with Sears Home Services, “It’s only a matter of time before the floor fails you.” But, he continues, “that may be a blessing in disguise.” If you’re dissatisfied with either the look or performance of any floor in your home, embrace replacement flooring as an opportunity for transformation. After all, “a new floor makes a dramatic impact,” Makyut says. “It not only changes the look of a room, but also how it feels.” Of course, the end result depends on the type of flooring you choose. While many people love the look of traditional hardwood or stone, savvy homeowners keep returning to a hardworking trio of beautiful, budget-friendly materials: laminate, vinyl, and tile. Which is right for you? Like so many other questions in home improvement, the answer depends. For instance, in the kitchen or bathroom, “there are a host of special considerations,” Maykut says. Meanwhile, in the den or the bedroom, “comfort alone may be your top priority,” Maykut concludes. For help making your selection, read on to learn the pros and cons of each popular option. A low price: That used to be the one and only selling point for vinyl flooring. But in the decades since it first became popular, vinyl has undergone “a tremendous renaissance,” according to Maykut of Sears Home Services. Separate and apart from affordability, there are now several reasons to choose it. For one thing, cumbersome sheet vinyl flooring products are no longer the norm. 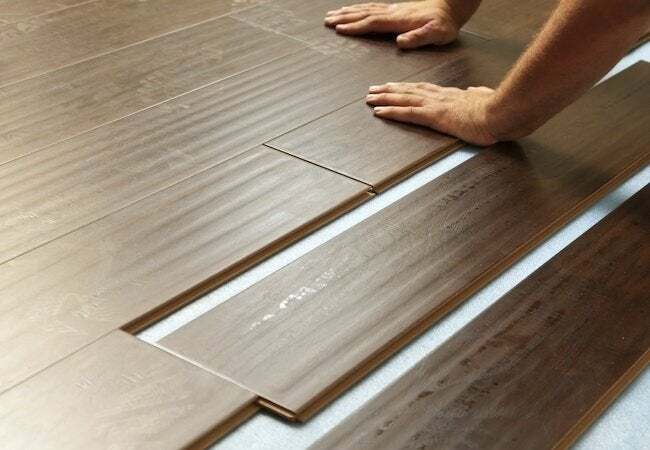 These days, planks and tiles are more popular, in part because “these new shapes and sizes lend themselves more easily to repair,” Maykut explains. 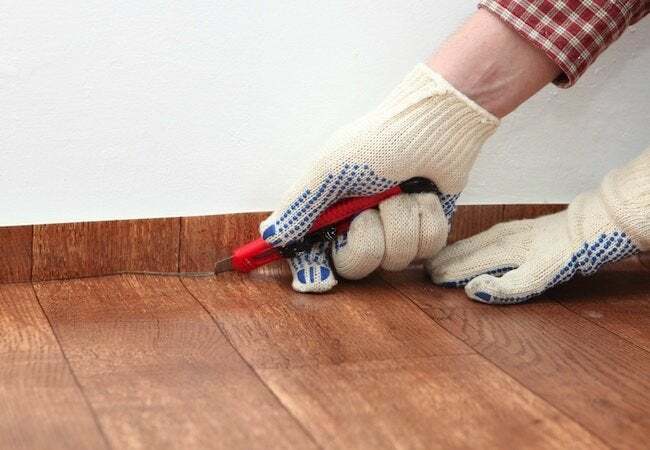 “If a sharp object gouges a section of the floor, you can simply replace the affected planks or tiles, without having to start over.” In addition, vinyl continues to earn praise for being easy to clean and low maintenance, and for standing up well to many of the everyday stresses that compromise other materials. Adding to its durability is the fact that, impervious to water, vinyl can be used in any room. Of course, if you have plans to move, you may want to think twice before putting a vinyl floor into a highly visible space like the living room. “Buyers often expect to see vinyl in certain rooms and not others,” Maykut says. 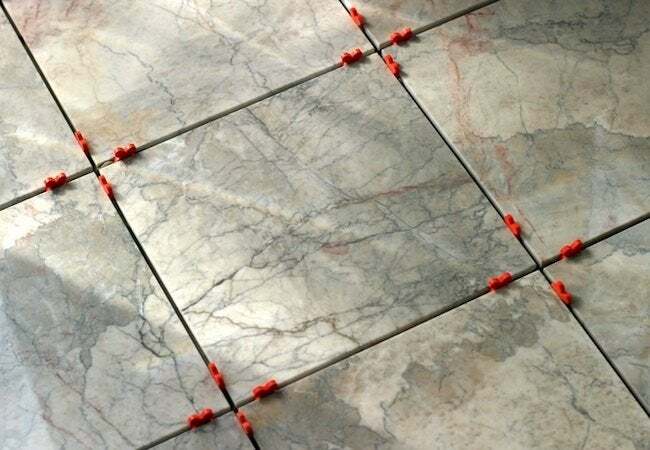 In the bathroom, kitchen, and assorted utility spaces, however, it can be a cost-effective, hassle-free floor. Best of all, it’s now available in a surprisingly sophisticated range of designs, the best of which benefit from advanced embossing techniques that make modern vinyl look much more expensive that it really is. Still uncertain as to which type of floor most closely matches your style preferences and lifestyle needs? Seek out a local contractor to discuss the various possibilities, or go online to book a free in-home consultation with Sears Home Services. A nationwide company with a decades-long history, Sears matches you with expert coordinators to guide you through the replacement flooring process from beginning to end—from selecting a material all the way to getting it installed on time, on budget, and to your satisfaction. In fact, Sears backs up its work with a Satisfaction Guarantee, demonstrating that just as you are, Sears stands committed to the success of your project.